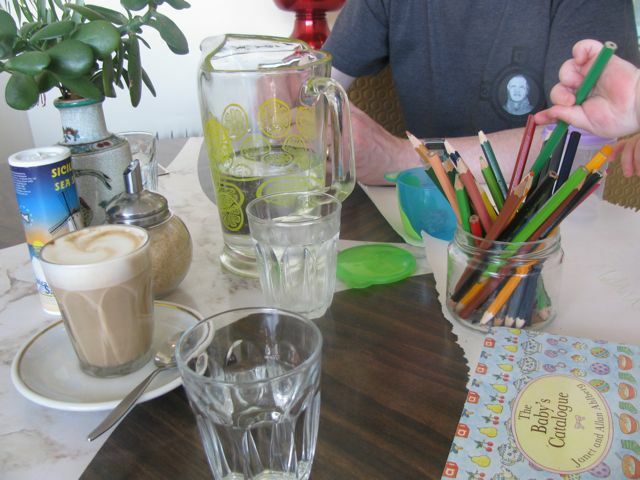 A few weekends back we caught up with our friend Heather at Pearl Oyster in Thornbury or Preston (the location changes depending on who you read). We met at 12pm thinking we'd get seats in the quiet period between the brunch and lunch crowds. The place was heaving. By the time we had finished lunch it had quietened down so our timing was all out. Overall, we enjoyed the food and the ambience once we overcame a few initial seating problems. The place was so busy when arrived that we had to wait for a seat and finally were given a few seats at a communal table. The seats were fixed in place. Not easy when we were trying to arrange ourselves around Sylvia's highchair. One guy begrudgingly moved for us but when we saw a group leave a four seat table we moved there. 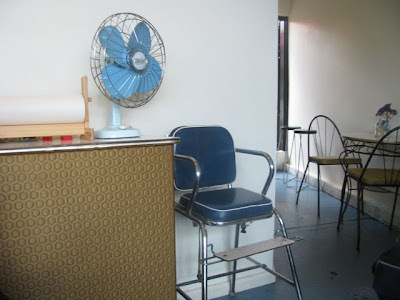 It was much easier to move the (vinyl swivel) chairs to accommodate Sylvia's highchair. And as you can see above, she loved the paper and coloured pencils provided. Next came the challenge of ordering food. After seeing some positive vegan reviews, I had hoped for a tofu scramble that Michael and Lisa enjoyed. But there was none on the specials. 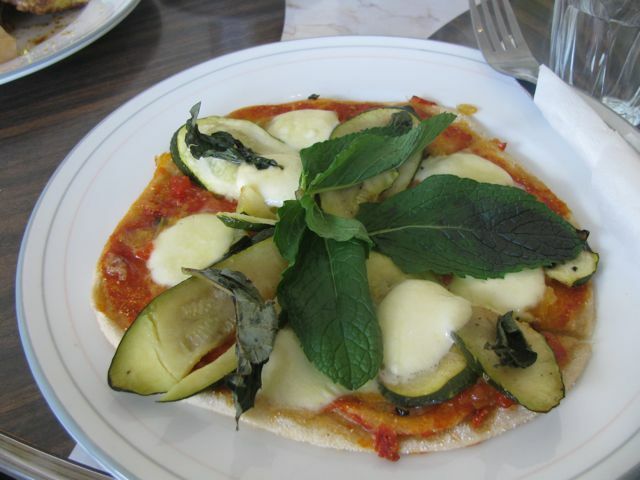 However, I did like the sound of the zucchini, cherry boccocini and chilli jam pizza. It was a nice pizza but far far too much spicy chilli jam for me. I was impressed that the waitress was happy to take on board my feedback when I mentioned this to them. These days I am less of a challenge to order for than Sylvia. We chose some very good fruit toast for her and she ate some of it when she could be distracted from drawing. E also ordered a herb omelette with ham, thinking that she might have a taste of the omelette but Sylvia was not interested in it. Not that E was bothered. He loved it and was happy to eat it all himself. When it came to ordering brunch, Heather was the one who really got it right. 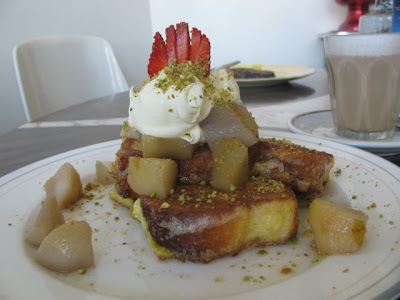 She ordered French toast with pears poached in rose tea, marscapone and pistachio dust. 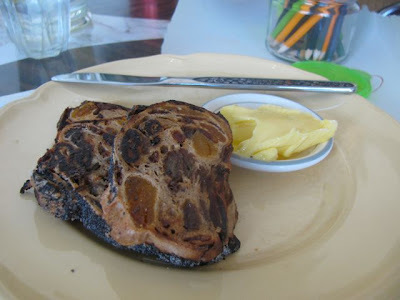 I am not much of a fan of French toast but I did taste it and found it an excellent marriage of inspired flavours and textures. But the ambience of the cafe is lovely with lots of nice touches. The furniture was a collection of retro furniture. Menus came bound in old book covers and there were lots of interesting old books opposite the counter. We would have loved a seat in the leafy court yard if it hadn't been full. The music was cool, the staff were friendly and there was a great display of cake that I would have loved to try if I had not been too full. 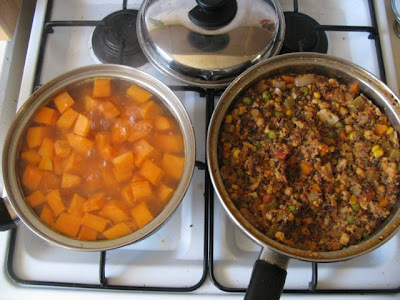 I don’t cook with sweet potato as often as I should. It still seems a bit exotic to me and I tend to use our common pumpkin much more. Fortunately other bloggers love it, especially my northern American friends, and give me the encouragement I need with the fluro orange vegetable. Take Ricki. She had a series on favourite sweet potato recipes a couple of years ago. So it is no surprise that sweet potato is this month’s theme of the SOS Kitchen Challenge event that she runs with Kim. Such events encourage me to try things I have always meant to do. 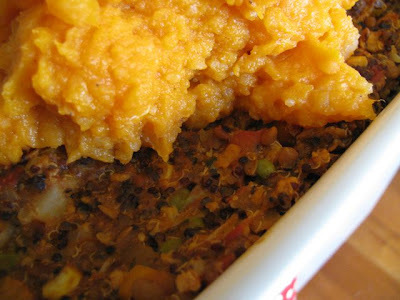 Such as a shepherd’s pie with a sweet potato mash on top instead of the ordinary mashed potato shepherd’s pie that I usually make. 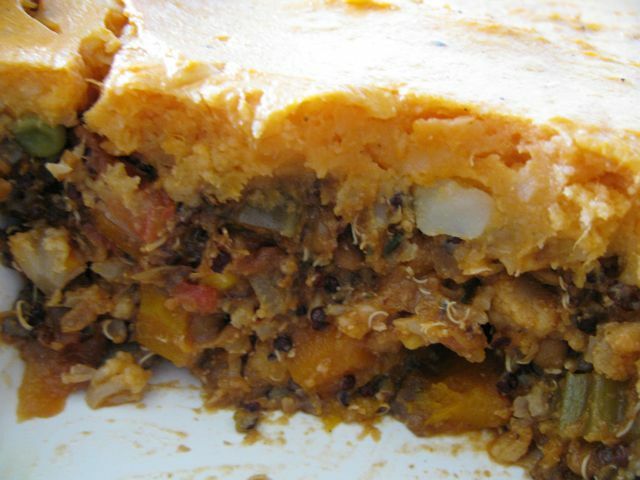 I made this a few weeks ago using quinoa, lentils and cauliflower as the main ingredients in the filling. I also threw in quite a few leftovers so this recipe is as much suggestion as instruction. I think I needed a bit more cooking time for the filling and a bigger saucepan but it is a very good work in progress. I definitely recommend it to you. When I tasted the filling after it had cooled I thought it tasted just like mince meat but better. However then I returned to reality and remembered it is probably about 20 years since I had mince meat and how would I know what it tastes like any more. 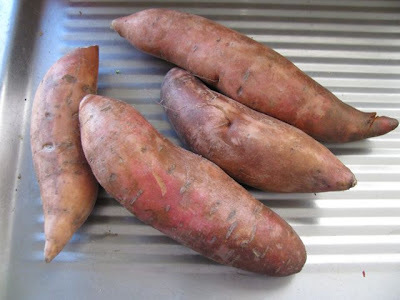 I also found the sweet potato far too sweet for my tastes and found it much more palatable with some seasoning. That said, sweet potato is great for the mash. It means less carbs, if that concerns you, and keeps better than regular potato mash, which is just as well given that this kept us going a few nights! * If I didn’t have leftovers I would probably use other flavourings such as more garlic, herbs, mustard, etc. Heat oil in a large saucepan or stockpot. Cook onion, carrots and celery for about 15 minutes or until soft (I did 15 minutes but would do more next time because my celery was still a bit toothsome). 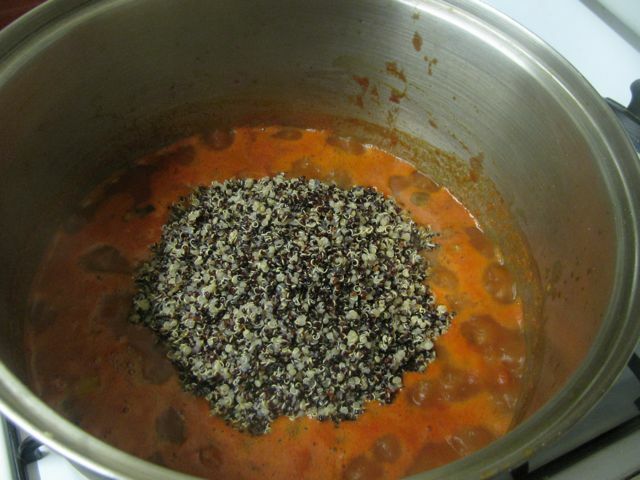 Meanwhile cook quinoa in boiling water for about 20 minutes or until soft. When cooked, drain and set aside. 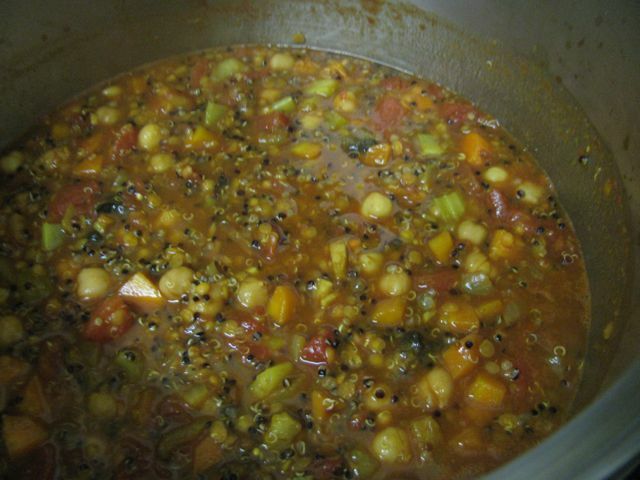 Add cooked quinoa, peas, water, tomatoes, smoked paprika, lentils, promite and leftovers (or additional flavouring). Cook for at least 15 minutes and set aside until the mash is ready. The cauliflower and celery should be soft when you finish cooking and set this aside. While the cauliflower and quinoa mixture is cooking, prepare the mash. Peel and chop the potatoes and sweet potatoes. Place in a medium saucepan of water and bring to the boil. Simmer for about 20 minutes or until soft. 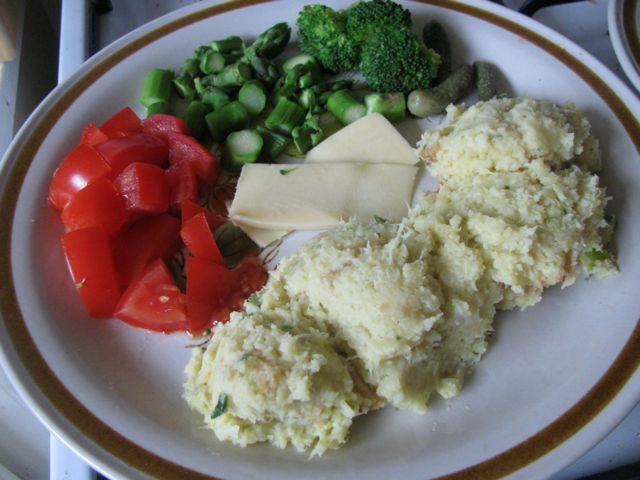 Drain and mash with remaining ingredients. 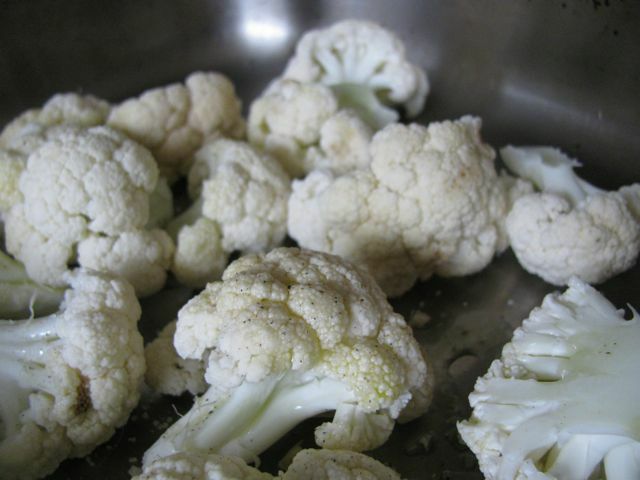 To assemble, spread cauliflower and quinoa mixture into rectangle casserole dish. Spread mash over filling and use a fork to fluff up so the edges will get crispy. Bake at 200 C for 40 minutes. Ideally the topping should be a little crispy and golden brown. On the way to make burgers I discovered a mash! Since Sylvia discovered her love of cauliflower (or cauli as she calls it or kolly as I recently saw it spelled) this vegetable has been making a more frequent appearance in our kitchen. I bought a whole cauliflower this week and got inspired to make burgers. I found a recipe but as often happens I never made the burgers. Sylvia was spending time with Zinc. She is much gentler now at patting Zinc and hardly pulls at her fur but she can pat a bit hard at times. She also loves to point at and to name body parts especially on the face. Zinc finds it a bit confronting to have a toddler’s pudgy finger try to land on her eye. So I was distracted with supervising baby and cat and got behind with dinner. The upshot was that I got as far as mashing the potato and cauliflower and adding some ground almonds, breadcrumbs and flavourings. It tasted so good and was getting so late that I decided to stop right there and eat it as a mash for dinner. I have seen others do cauliflower mash for a low carb alternative to mashed potatoes and it seemed a better alternative to eating dinner at 9pm. 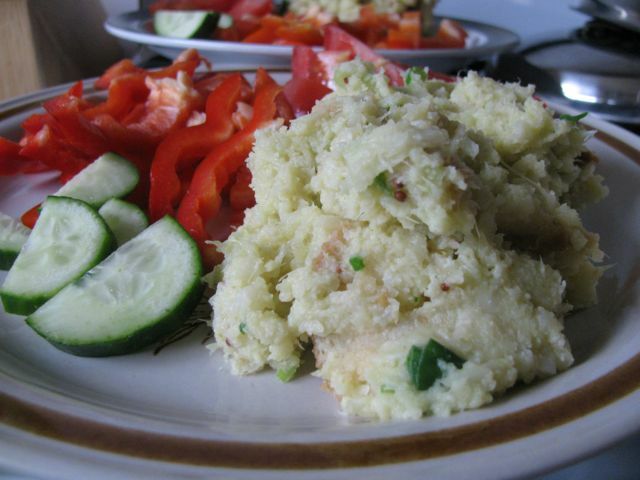 I am sending this cauliflower mash to Anh of A Food Lover’s Journey for this week’s Weekend Herb Blogging (#261). This event that features food bloggers' use of fruits, vegetables and other plant food is overseen by Haalo from Cook (almost) Anything and was founded by Kalyn of Kalyn’s Kitchen. Cook potatoes and cauliflower in a large saucepan for about 20 minutes or until they are soft when pierced with a knife. Drain well and mash with a potato masher. Add remaining ingredients and mash or stir to combine. Serve warm. I wanted to bake something tonight but just didn’t have enough eggs or choc chips or energy. Anyway I really wanted to make choc chip cookies but I baked them on the weekend. Finally I decided I felt like some chutney and cheese on bread. I love having chutney around the house but often find the bought kind is either too sweet, too curried, too spicy or too expensive. Experience has taught me that the answer is to make my own. With the season of nut roasts and barbecues fast approaching, I decided we had gone without chutney too long. 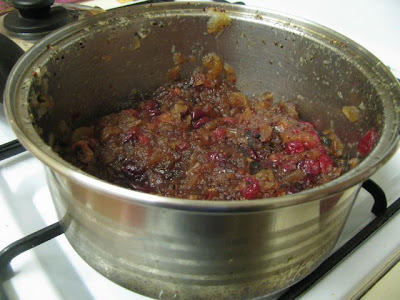 A recipe for apple and cranberry chutney took my fancy. Though unseasonal, the fruit seemed appropriate for the forthcoming festive season. Besides, I had old apples. I had frozen cranberries. In Australia fresh cranberries are rare as hen’s teeth - these frozen ones were brought at Clifton Hill Foodworks and a product of Warren and Hutch, for those wondering where to get frozen cranberries in Melbourne. The recipe looked like it needed spicing up. Another recipe gave me a few ideas but I underestimated just how sweet it would be. I am still unfamiliar with how tart fresh cranberries are and wasn’t sure if the sugar was needed for them. As it was, the sugar made the apples very sweet but this was partly offset by the sourness of the cranberries. 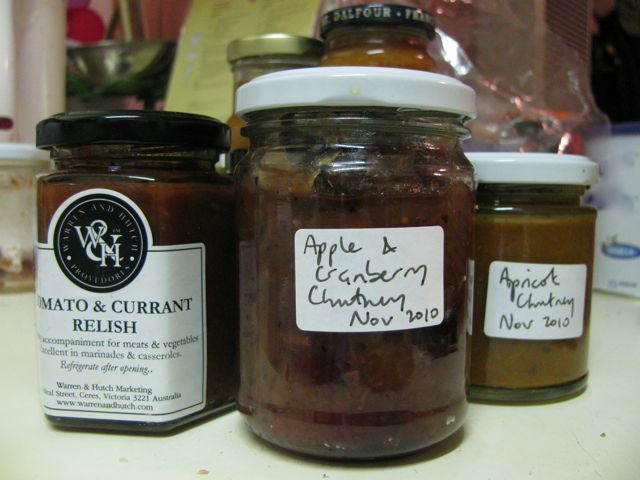 My mum enjoyed a taste so much that she went home with a jar of chutney. Now that is proof that it is not unbearably sweet. Like most chutneys it goes well with cheese in a sandwich. But next time I make it (if I am ever lucky enough to have frozen cranberries again) I will add more spices and less sugar. I am just thankful I forgot to halve the pepper when I halved the recipe. I am happy to report that my pantry now has a good supply of chutney. 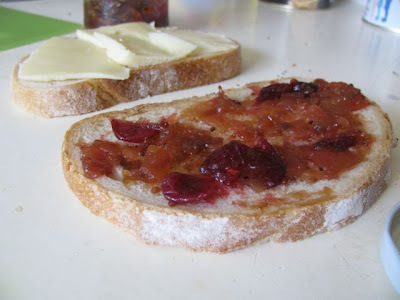 Not only do I have the apple and cranberry chutney but I found a jar of tomato and currant relish that had been missing and I made a batch of apricot chutney this week. I feel more prepared for the festive season! Now if you will excuse me I might just have another nibble of bread with cheese and chutney. 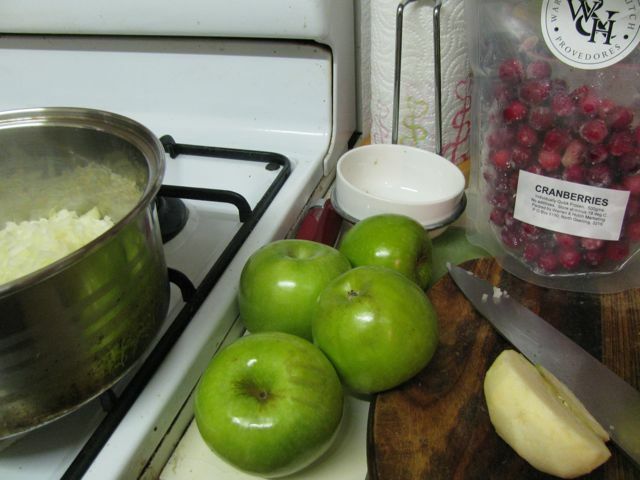 Place all ingredients except the cranberries in a large saucepan and bring to the boil. Turn down the heat and simmer uncovered for about 50 minutes or until mixture has thickened. Add cranberries (mine weren’t quite defrosted when I did mine) and cook for about 10 minutes or until cranberries soften. When cranberries go in the chutney, prepare your jars. I just pour hot water over mine but if you are more rigorous you could sterilise them in boiling water for about 10-15 minutes. Spoon hot chutney into hot jars and screw lids on tightly to seal. The recipe says it keeps up to 6 months. I have eaten through almost a jar of the stuff in a week so mine wont keep that long. 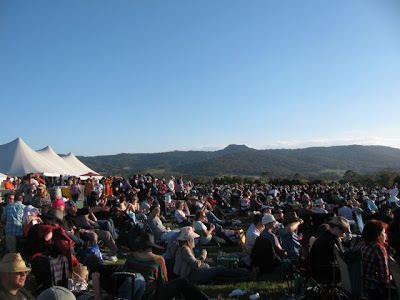 We went to see Leonard Cohen perform a superb outdoor gig at Hanging Rock on Saturday night. Such a relaxing evening. Good food, beautiful surroundings and evocative music. It was wonderful to see the legendary singer-song-writer enjoying performing so much. All in all it was a busy weekend. 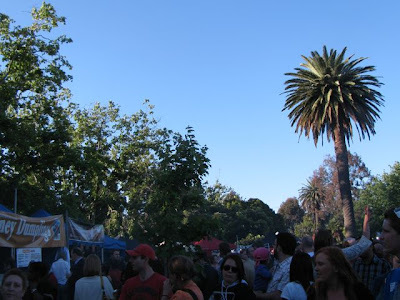 We started by visiting Coburg Night Markets on Friday. They are on in Fridays in November and it was such a lovely night I had to go. Unfortunately so did all of Coburg and surrounds. It was so busy that there were huge queues everywhere. While E and Sylvia queued for potato chip twists, I queued for tofu and vegetable dumplings. It did occur to me after standing in queue for ages and ages that it would be terrible to get to the top of the queue and discover they weren't vegetarian dumplings after all. 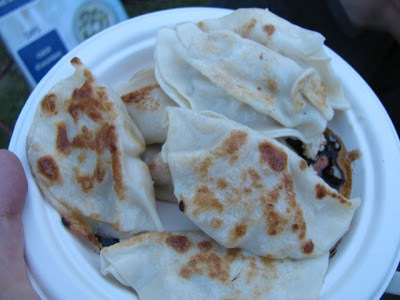 The stall had sesame seeds, soy sauce and different vinegars to pour over the dumplings but I just put a bit of soy sauce on the side in the (vain) hope that Sylvia might try them. Sylvia's dislike of a sauce is a challenge when eating out. I find myself asking for sauce and accompaniments on the side. No fancy swirls and drizzles. We also bought waffles with strawberries and cream but again had everything on the side. You should have seen how pretty everyone else's looked. 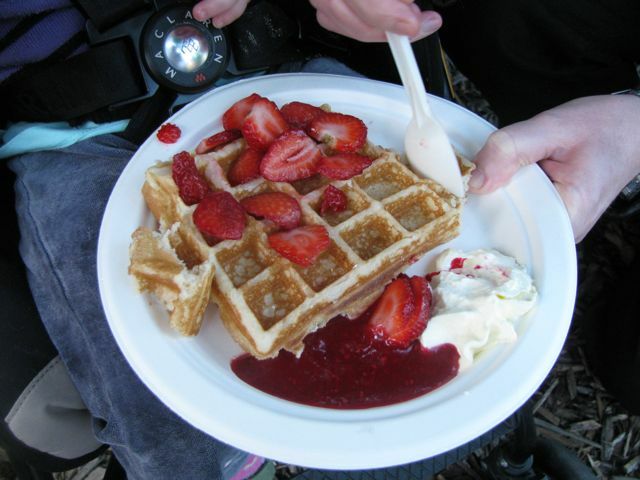 Sylvia wouldn't eat the waffles but had some berries on the condition that we let her eat them with the fork. The queues at the market were a good lesson for us the next day, when preparing to see Leonard Cohen. E and some of the menfolk of my family were off on a beer brewing jaunt so my dad picked up Sylvia on the way home and took her to stay with my parents overnight. This left me time to prepare the picnic. It is a rare pleasure to spend time in the kitchen with no child under my feet nor an ear cocked towards the bedroom wondering when she will wake. I had already bought some falafels from Half Moon Cafe, some corn chips and a block of chocolate. 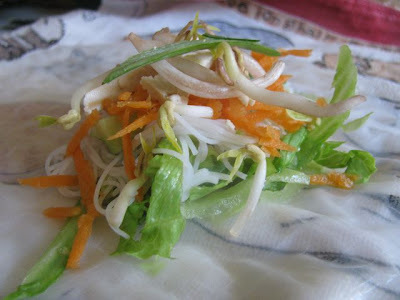 Inspired by recent successes, I made some rice paper rolls and rice salad. The rice salad was inspired by Lisa's Brown Rice and Two-Bean Salad with Chili-Lime Dressing. 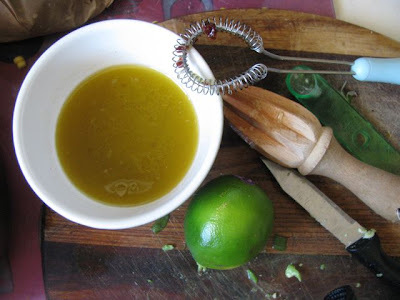 Lisa's lime and chilli dressing was quite different to that on my recent rice salad. Hers seemed a little bit Mexican. With this in mind, I bought avocado at the market. When I came home and found the recipe didn't have any avocado, I just followed my own idea of what a Mexican salad might look like. The chipotle chilli pepper that I included in the dressing was very spicy but added a nice smoky flavour. I added some sugar because the dressing was so spiky but it made no difference. Once the dressing had mingled with the salad a few hours it was delicious and it got a big tick of approval from E.
We arrived late to the Leonard Cohen gig. That wasn't so bad. We missed the traffic jams. But it did mean that we only saw half of Paul Kelly's set and everyone else had chosen their seats. However it was quite good sitting high up at the back of the arena where we could see Hanging Rock behind the stage. The volcanic rock was lit up with coloured lights and just added to the atmosphere. Having all our food in our picnic trolley made for a relaxing evening. No queues. No highway robbery. No eating rubbish. (NB These comments are based on previous experiences because I didn't get close enough to the food stalls at the gig to know what it was like.) 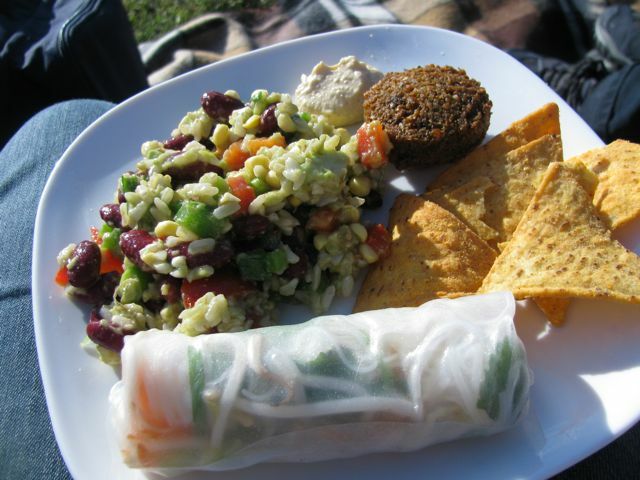 The corn chips were a good accompaniment to the rice salad. The spring rolls were refreshing and the falafel was satisfying. I also brought dessert. 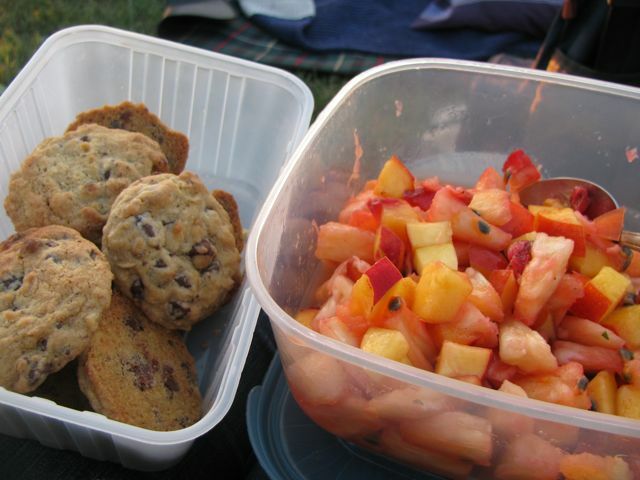 As well as a block of chocolate, we had choc chip cookies and fruit salad. 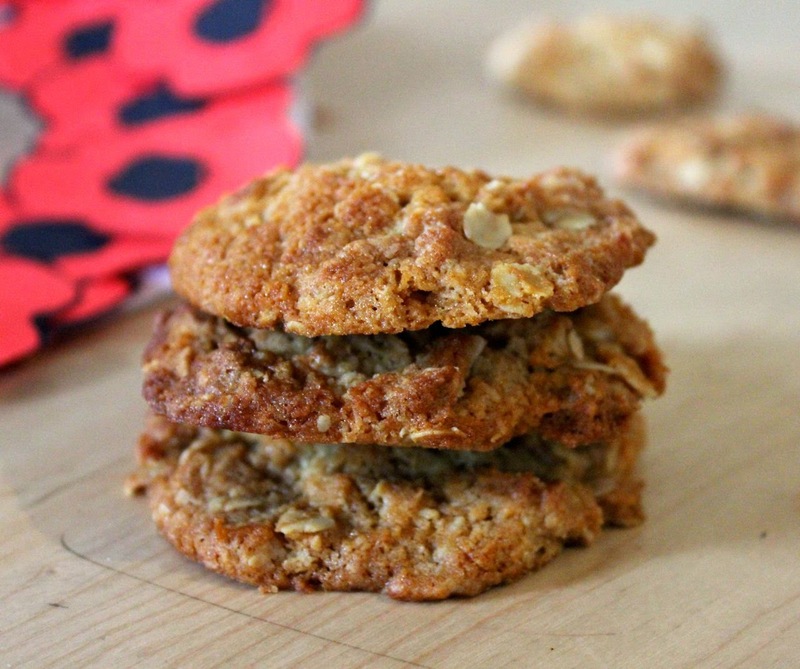 The cookies were made without the dried cherries I used in the recipe the first time and substituting a bit of LSA for some of the oats. 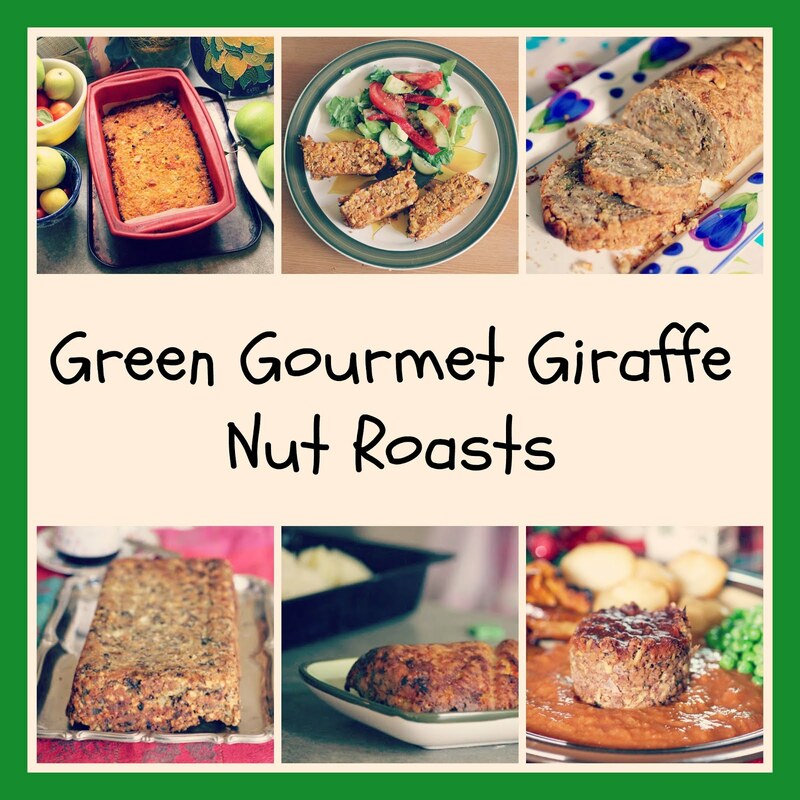 If you are looking for an excellent recipe, try these. The fruit salad was really made because I had bought a pineapple and then added some strawberries, passionfruit and nectarine. It was all delicious, washed down with classic songs such as Sisters of Mercy, Suzanne and Hallelujah! Our weekend was finished with a visit to my folks on Sunday to pick up Sylvia. She had had a wonderful time playing with her cousins and being doted upon by her grandparents. 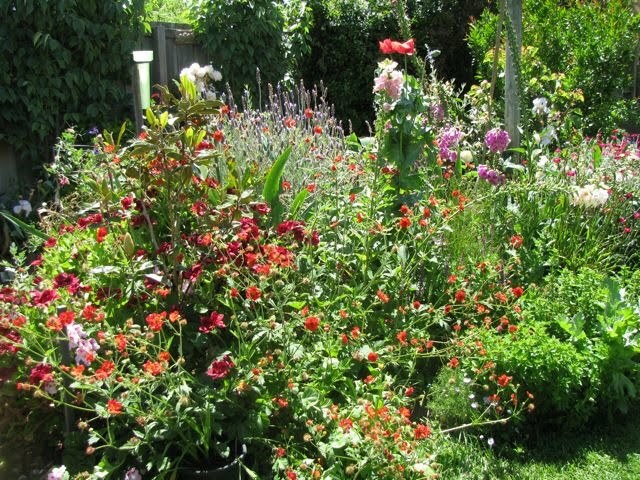 You can see by the above photo that their garden is full of colourful flowers - thanks to all the rain we have had this year. Just the place for little girls to pitch their tent! I took some leftover choc chip cookies which was appreciated after my mum's lovely gnocchi in eggplant sauce. A busy weekend and a delicious one! I am sending the salad to Lisa of Lisa's Kitchen (yes she who originally inspired the salad). 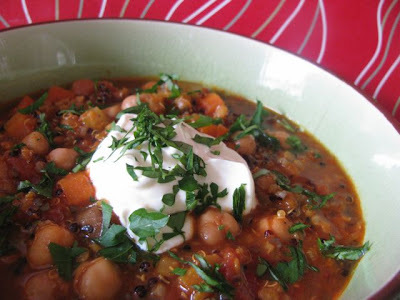 Lisa is hosting My Legume Love Affair in November, the event founded by Susan of the Well Seasoned Cook to encourage bloggers to to share leguminous recipes. 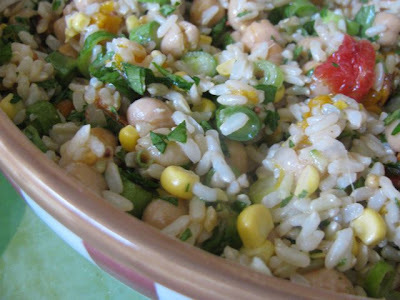 Cook brown rice in boiling water for about 30 minutes or until soft. Rinse in cold water. Add kidney beans, capsicums, spring onions and tomatoes. Make dressing by lightly whisking all ingredients together in a small bowl (or shaking in a screwtop jar). Toss salad with dressing to coat well. Add avocado last and gently mix into the salad. Serve at room temperature. At my nieces’ party last weekend I was telling some of the kids that Sylvia loves vegetables. They all made a face when I said she loves broccoli. An eight year old told me that she only eats three vegetables: potato, corn and carrot – and she only likes carrot when crunchy (or maybe when it wasn’t crunchy). It sounded quite limited. I know that kids can go through phases when they reject foods they previously loved so I am relieved to see Sylvia can still enjoy new vegetables. Sylvia generally eats vegetables and beans or tofu or cheese for dinner. I keep offering her new foods that we are eating but she also is curious about what is on our plate. 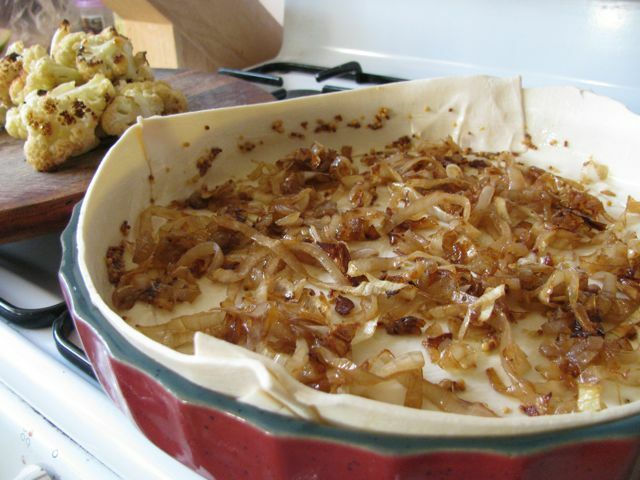 When I made Deb’s Cauliflower and Caramelized Onion Tart last week, I was surprised how much Sylvia loved the roasted cauliflower. She wouldn’t eat the tart but I am just glad she eats vegetables. So a few days later I steamed some cauliflower and she couldn’t get enough of it. She is also doing well with seasonal foods. It is the time of year when I eat a lot more tomato, cucumber and asparagus. Sylvia is also enjoying these vegetables. And tonight when I had some nectarine in a fruit salad, she was eager to gulp that down too. Big sigh of relief! But it is not just Deb I must thank for the cauliflower recipe. I saw her pie and with all the marscapone cheese and truffle oil, it seemed a bit beyond me. Then I saw Carla make the same pie with a simpler vegan version. I actually felt that the vegan version was lighter and set out to make mine with less dairy. However I just couldn’t find the soft tofu and so I settled for cream cheese. I have seen versions with cottage cheese or ricotta which might be a better substitute. I used my biggest pie dish which helped the filling cook but the puff pastry I used was a bit undercooked. The preference would be to try the home made pastry that Deb used but the reality that finding the energy for that is probably a bit much at the moment. I probably would bake the pie a bit longer with puff pastry next time. Pastry woes aside, the tart was like a very cheesy quiche. In a very good albeit rich way! It is not the first time I have cooked cauliflower in a tart and I will definitely be doing it again, Despite its lack of colour, cauliflower is full of flavour. 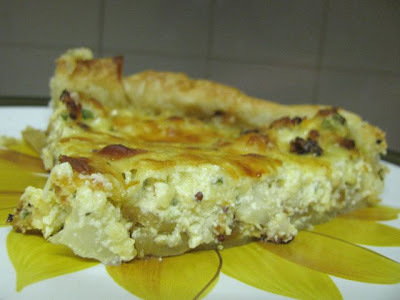 I love a large tart that means I come home to a leftover piece of pie packed with vegies and topped with lots of cheese. I am sending this tart to Haalo from Cook (almost) Anything for Weekend Herb Blogging (#260) which turns 5 years old this week. 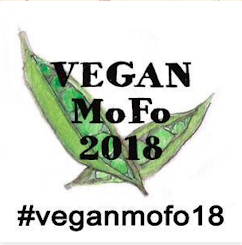 Congratulations to both Kalyn (who founded the event) and Haalo (who has taken over the reigns with such aplomb) for 260 weeks of bringing bloggers together over plant-based recipes. Roast cauliflower with 2 tbsp of olive oil and a pinch of salt in over for about 30 minutes at 425 F (about 210 C) or until soft and starting to brown at the edges. Cool cauliflower and chop roughly. Line greased pie tin with pastry. If appropriate, blind bake for about 20 minutes. NB I used puff pastry and didn’t pre-cook it. It didn’t quite cook as much on the bottom as I would have liked but was perfectly cooked at the sides. Maybe it was because my pie tin is ceramic rather than metal. Deb gave a recipe for a home made crust she recommended that seems a good idea if you have the time. Heat remaining 1 tablespoon of olive oil in a heavy frypan over medium heat. Slowly fry onion in oil until golden brown and soft. Deb suggests 30-40 minutes. I suspect I took even longer because I was giving Sylvia dinner as I was preparing it and lost track of the time. Season onion. Lightly whisk softened cream cheese, eggs, milk, mustard, lemon juice, pepper, smoked paprika, parsley, and two thirds of cheese. 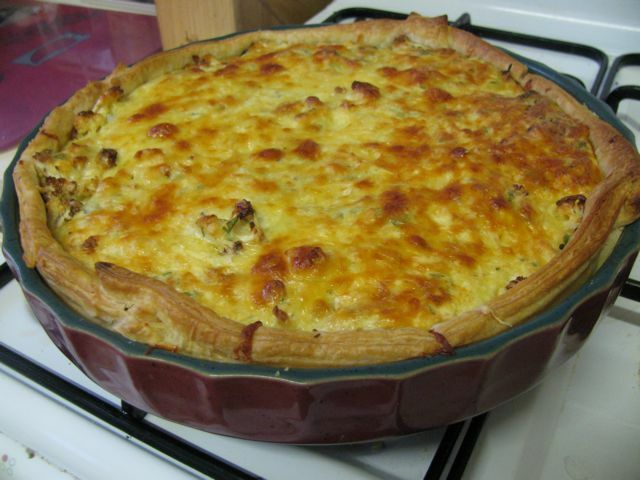 Spread onion over pastry base. Distribute cauliflower over onion and then pour cream cheese mixture over the top. Sprinkle with remaining gruyere cheese and mozzarella cheese. Bake for about 40 minutes at 180 C (350 F) or until top is golden brown and filling is firm to touch. (Maybe try a bit longer if you use puff pastry.) Sit for about 15 minutes before serving. It was my nieces' 6th birthday on Sunday. We went to my mum's on Saturday to help make the birthday cake. Before a birthday cake is made there are many decisions to be made. 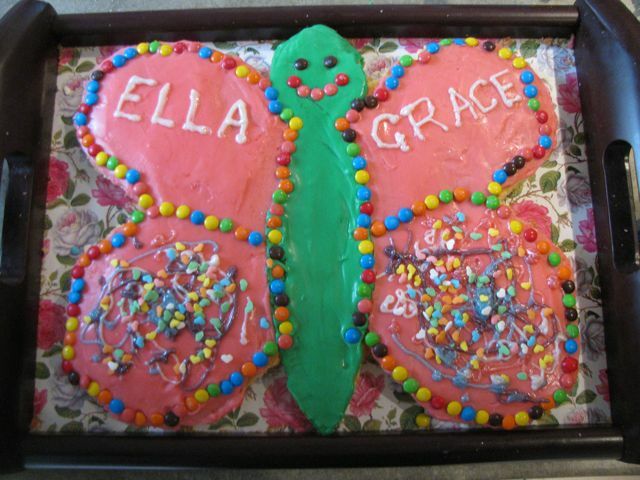 A butterfly was chosen so there was a wing each for Ella and Grace but then we had to decide on the shape, the colours, the decorations. Fortunately we held a cake committee in the lounge room with Quin playing background music on the piano. My mum made a gluten free cake (using two rectangular slice tins) out of a packet so that Grace could eat it. Both girls loved the soft butter cake and stroked it lovingly like a dog. 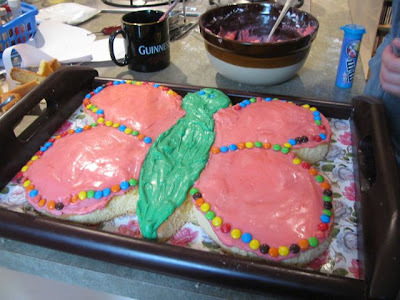 The butterfly was an easy decorating job to do with kids. Ella and Grace were helped by their sister Maddy and oldest cousin, Quin. We were all very happy with our handy work! The party was lots of fun. Despite the wintery weather, my sister, Susie, took a chance on getting a blow-up jumping castle in the back yard and the rain held off just long enough. 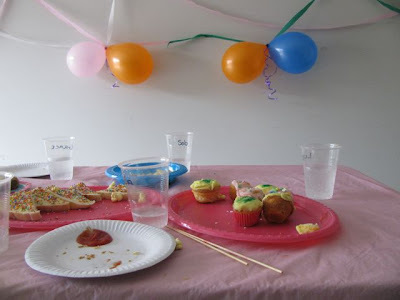 I didn't get a photo of the food till it was demolished by the kids but there was lots of traditional kiddie party fare: sausage rolls (with veg option for Sylvia and me), fairy bread, little cakes, and chips. There were also some fancy skewers of watermelon, strawberries and marshmallows - and face painting, party games and lolly bags to take home. What more could you ask for! Not only did we enjoy a great party, but we also had birthday cake for my brother Dave and a barbecue. 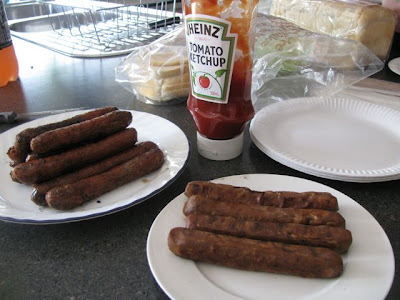 Those are the vegetarian sausages at the front. A busy weekend of birthdays! 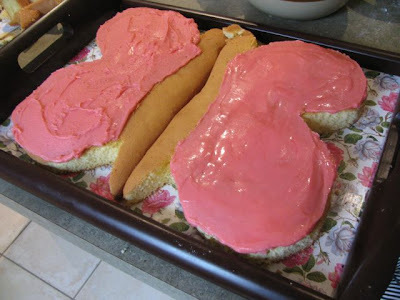 And now let me tell you how we made the butterfly birthday cake. (You can also check out a previous butterfly cake I made for an alternative look). 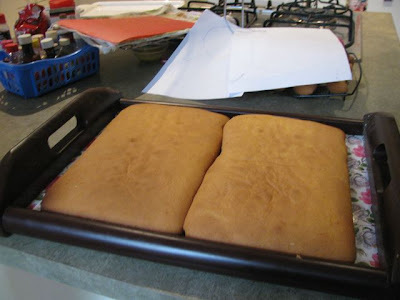 Firstly, after the cake committee had met, we took the two cakes and set them side by side on a tray. I would have preferred a large flat tray, such as my biggest baking tray which I sometimes cover in foil for birthday cakes, but my mum's largest tray was this pretty wooden one. Next we found a butterfly shape we liked on the web. To make a template, I copied one side of this onto a piece of paper that was the size of one side of the cake. This could then be flipped over for the other side rather than trying to draw two identical sides. I cut the wing shape out. Mum held it down while I used a sharp knife to trace the outline onto the cake on both sides. Then I cut out the butterfly shape. 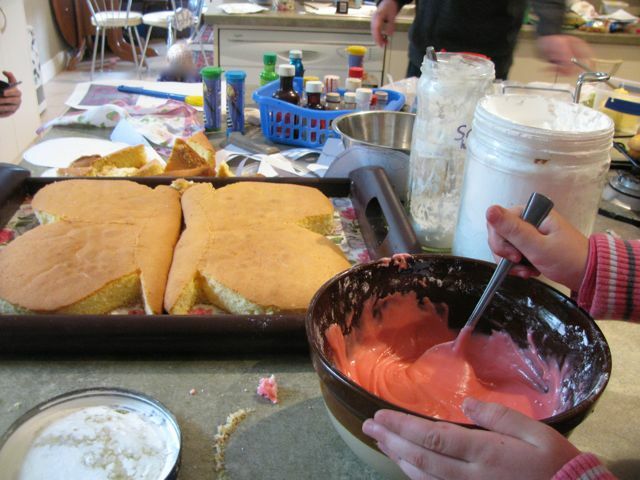 Then it was the fun job of mixing the icing (or frosting). We used liquid dyes. I was excited to find my mum had bought a red pillarbox dye. Red is difficult to do in icing but this dye made a lovely bright pink. Grace and Ella helped with the pink. Maddy and Quin worked on the green icing for the body of the butterfly. (Maddy was concerned at an alternative to pink for the boys at the party.) And Sylvia? She sat on the floor trying to put my shoes on while we worked. I insisted that I do all the icing because it is tricky work. Once it was spread over the cake, I used a butter knife dipped in hot water to smooth the icing (you can see one wing smooth and the other choppy in the above photo). Unlike most novelty cakes I make, we decided not to ice the sides of the cake, which made it easier though I was concerned that it would dry out quicker without the icing to help keep the moisture in. With the icing in place, the girls helped to place mini m&ms around the edge of the wings. The cake we liked had piping around the edges. However I love colourful lollies and they are so much easier for kids to handle than an icing gun. My mum also had some glossy icing pens from a previous cake. I used them to write Ella and Grace's names. 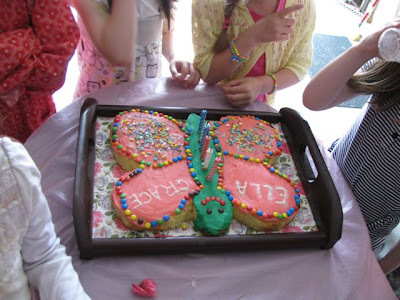 Then the girls took control of the pens and artistically drizzled the icing and little love hearts over the lower parts of the wings. Warning: Even after a few hours the icing from the icing pen was quite moist. When my mum tried to cover it with cling wrap, the icing clung to it and I had to do a patch up job on the writing! We also did a face of m&ms but I forgot the feelers in the chaos. I had intended to make some out of liquorice (though pipe cleaners would also do the trick). The cake was a great success at the party. Susie lined up the candles along the middle of the butterfly. The biggest challenge on the day was keeping the candles alight outside long enough for the girls to blow them out. Eating the cake was no challenge at all for the hoards of kids! Scramble seems to be a good word for my life at the moment – a mad rush to get things done by hook or by crook. I wont bore you with the things that have fallen by the wayside but I will share with you a tofu scramble that I made recently. I had mentioned a while back that I made the best tofu scramble ever when I used a vegan cheeze sauce. 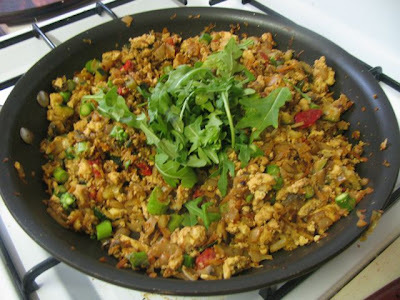 So the next time I made a tofu scramble I checked for recipes in my blog and found I had only blogged one other scramble. 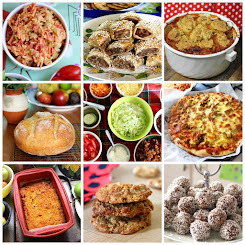 You see, I blog not just to share recipes with readers, but also to remember what I did last time. 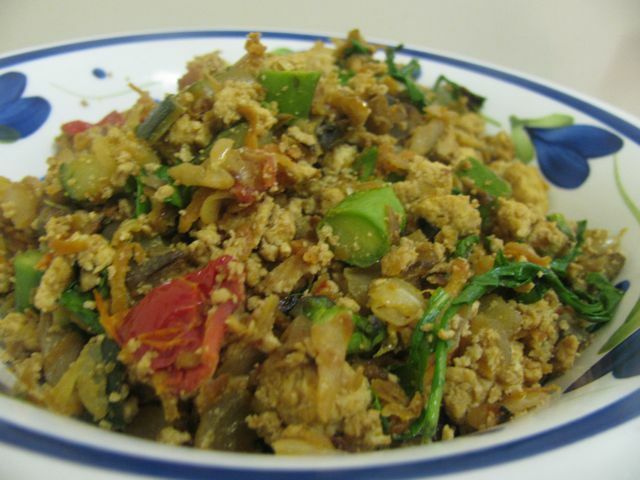 The other tofu scramble I have blogged used roasted vegetables, which I do not often have on hand. So I decided to record what I did with a recent scramble. I am not sure this one was quite as excellent as the cheezy scramble but it was still rather tasty. 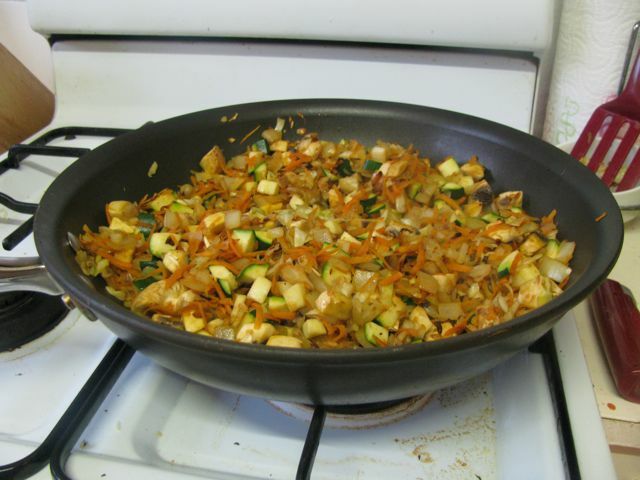 Heat oil in a large frypan or wok. Cook onion, cabbage and carrot over medium heat for about 10 minutes. Add zucchini and mushrooms and cook another 5 minutes. Add garlic, smoked paprika, cumin, tamari and tahini and cook for 5 minutes. Add asparagus and sun dried tomatoes and cook for 5 minutes. Stir in a handful of rocket. Serve warm on toast or rice with a sprinkle of nutritional yeast if desired. My life feels like an archeological dig lately. Everywhere I turn I am sifting through layers of papers and other detritus and I find myself travelling back through periods of time in my life. In the last few weeks I have cleaned out my old car, my old office and my home files. Likewise when I cook I often feel like I am excavating my fridge, which is always bursting at the seams. Cooking a Curried Quinoa, Chickpeas and Red Lentil Soup last week brought back memories. Oh, that’s right there was the mashed pumpkin leftover from making scones, shriveled mushrooms I forgot to give Sylvia, quinoa that I made for the gf sausage rolls, and old parsley that the neighbour gave me. I even found the bag of scraps I had been keeping in the freezer and made some stock. However my greatest discovery while making the soup for dinner was the leftover tofu scramble that I had put aside for another meal. My energy was flagging so I turned off the soup to sit overnight and served up the scramble. My plans of soup and scones for dinner were completely scuppered. I had already started baking Deb’s Apple and Cheddar Scones but they was too sweet for me. 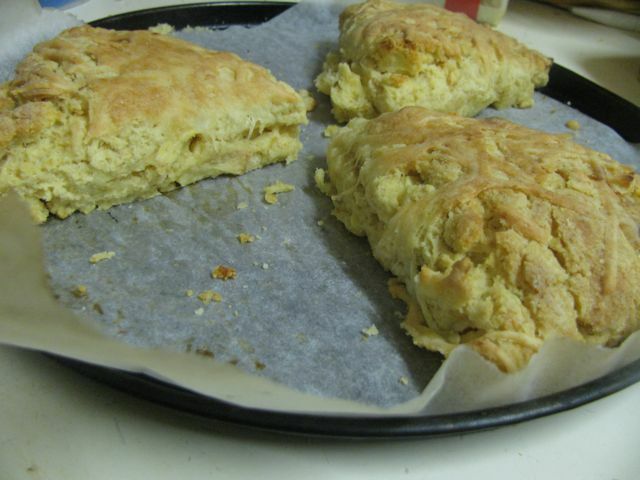 Not at all the apple and cheddar scones that I seek, even with reducing the sugar. I prefer this attempt better. Nevermind, it used up some cream and apples lingering in my kitchen and I did like the idea of lightly roasting the apple before baking the scones. I also disagreed with Deb that they had to be eaten on the day of baking – I quite liked them on day 3. But the real star of last week’s cooking was the soup. It is not something I would usually make but it was a great way to use up leftover quinoa. Even the stock that seemed slightly bitter to taste, added the right depth of flavour to the soup. I would even venture to say it got better after sitting for a while. Full of flavour and textures, it was spicy and satisfying. E loved it too and even Sylvia (who wont eat my soups) ate the chickpeas out of it. One to make again and again! I am sending this to Lisa for No Croutons Required, the inspiring vegetarian soup and salad blog event that she runs with Jacqueline every month. 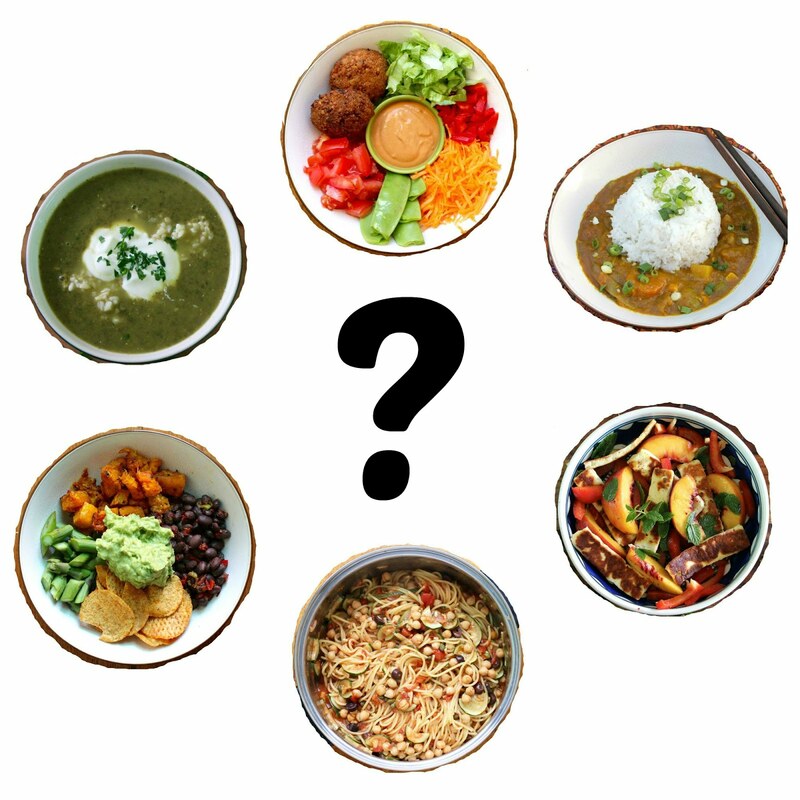 The theme in November is quinoa. Add the remaining ingredients and adjust seasoning. Simmer for 10-15 minutes til the lentils are cooked (I cooked mine the night before eating so I just brought it to the boil and left to cool). Serve with yoghurt and fresh parsley. Our next door neighbours are moving house. They are lovely people and Sylvia loves playing with their little boy who is only a few weeks younger. We will miss them. So when other neighbours across the road threw a small farewell bbq on Saturday night, I was happy to take some food along. 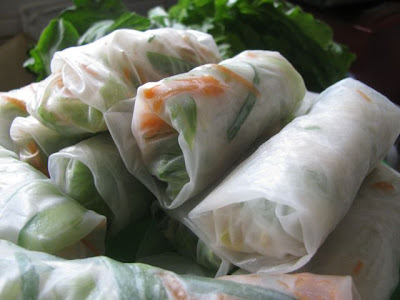 The last time I blogged about rice paper rolls, we were catering for meat eaters and vegetarians at a dinner party. We identified the vegetarian ones with a mint leaf in the wrapper. It occurred to me that if I just did vegetables, rice noodles and maybe tofu, that I could offer them to our neighbours. When I broached the idea with Paula, she helpfully emailed a list of allowed vegetables and stipulated they could not eat any sauce. The beauty of these rolls is that I could pack a sauce separately for others. The downside of making rice paper rolls is that they are best eaten fresh. So I decided to make them at the last minute. Literally! At the time we had said we would be there, I was sending E and Sylvia over the street to buy lettuce and looking up dipping sauce recipes on the internet. In retrospect I think I probably needed to start them 45 minutes before leaving the house to allow time to assemble the rice paper rolls and get ourselves ready to leave. At least by then I had made the hedgehog and the rice salad. We got there eventually. There was plenty of food. 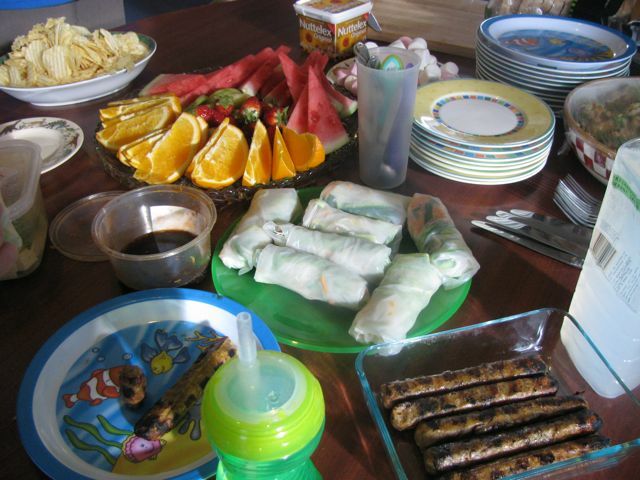 The rice paper rolls were a crowd pleaser, especially when everyone was waiting for the meat to come off the barbie (or vegetarian sausages for me because I have my own dietary needs that others accommodate). I was relieved everyone liked the dipping sauce too because I wasn’t quite sure I got the balance of sweet, sour and salty flavours right. (I had rice paper rolls again tonight and tried different quantities in the sauce, which I think worked better.) E was not so keen and Sylvia loved the wrappers best. 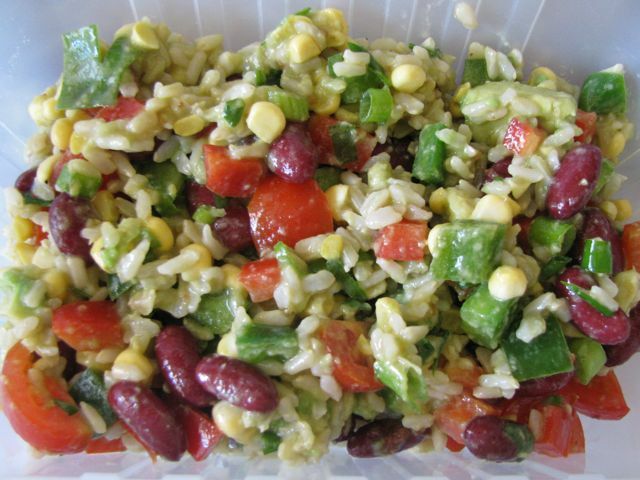 I also took a rice salad that was much better than my last effort - the recipe is below. It is the sort of dish I like to take to someone’s place when I am not sure of what other food will be there for vegetarians. It was full of flavours, vegetables and protein, which is all I ask from a meal. Others appreciated it and I was even asked for the recipe! It could have many other vegies. I would like to try it with pineapple or apple instead of sun dried tomatoes. I was also quite taken with Paula’s brother’s girlfriend’s rice balls (made only with sushi rice) that were placed on the bbq and grilled until crispy. They were delicious with a bit of the rice paper roll dipping sauce. Paula also made chips – thin slices of potato, barbecued and served with salt. Mmm-mmm! Dessert was a pleasing spread of hedgehog, sponge cake, trifle marshmallows and a fruit platter. One of the other benefits of making food for others is that it takes you out of your comfort zone. Although it is easier to bung all the filling in one big bowl rather than lots of little ones, I actually preferred adding vegetables separately with no additional flavours. They are fresher and fill out the roll better. The sauce is enough flavour for the rice paper rolls, unless in a hurry to clear the bench you knock over your dipping bowl. But that is another story! I am sending this post to Ricki of Diet Dessert and Dogs, who is currently part of a Gluten Free Holiday being overseen by Amy of Simply Sugar and Gluten Free. 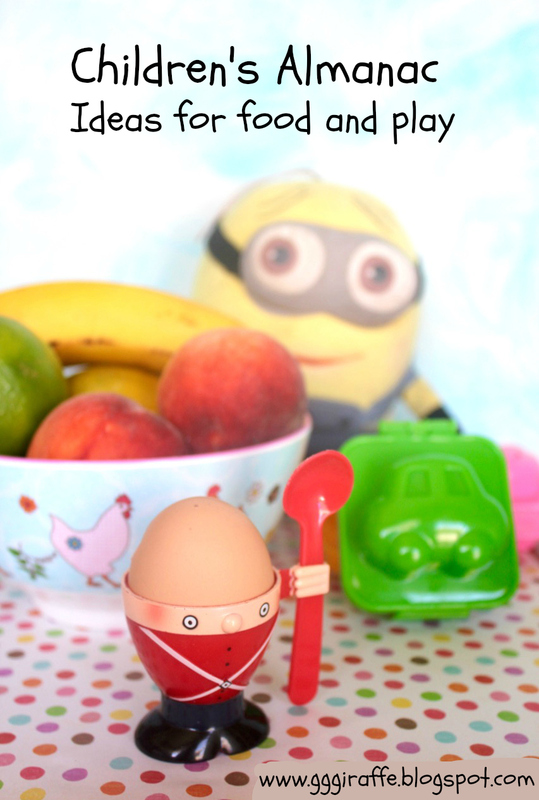 Ricki has asked other bloggers to post a healthy holiday recipe or tips for keeping healthy on the holidays. As in Australia summer food and bbqs are traditional holiday foods, I thought this would fit the bill. Place vermicelli noodles in boiling water for about 15 minutes and drain. (Don’t use hot water from the tap like I do or it will take longer.) You can do this while you chop vegetables. Make dipping sauce by mixing all ingredient together in a small bowl. 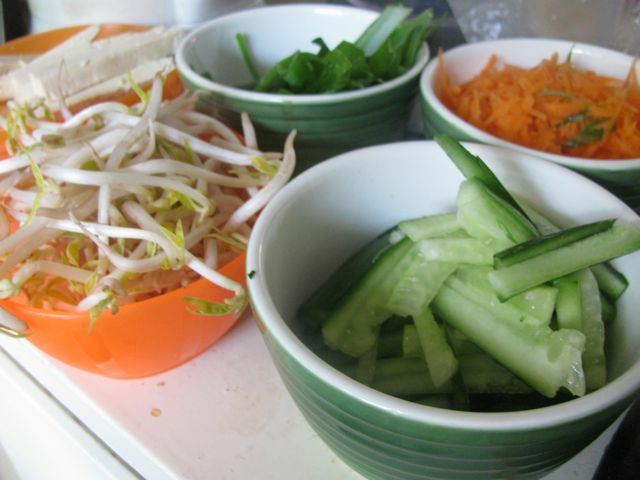 To make spring rolls, have all ingredients prepared and within reach. Either piled in mounds on a chopping board or in little bowls is good. Find a flat bowl that is at least a little bit bigger than your wrappers to soften them. 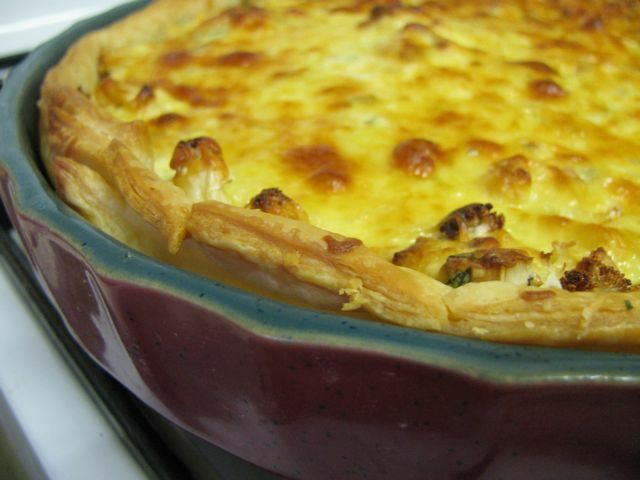 I use a ceramic quiche dish. Half fill the dish with hot water from the tap. 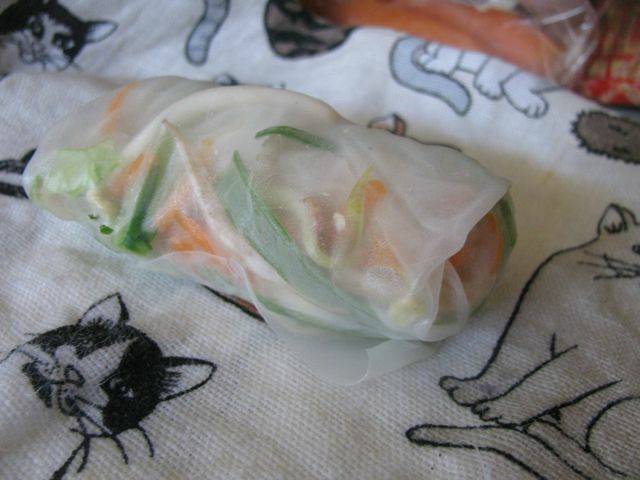 Prepare for assembling rice paper rolls by placing a teatowel on a flat surface near your water. Now make your first rice paper roll but taking a dried wrapper and dipping it in the water for about 15 seconds. A little under done is better than a little over done as they will soften more when you wrap them. Place softened wrapper on the teatowel and grab a small spoonful from each ingredient pile or bowl to pile on the top third of the wrapper, leaving a bit to fold over it.. I tended to layer lettuce, vermicelli, tofu, cucumber, bean shoots, carrot, spring onion, mint. It looks like a huge pile but packs down nicely. To wrap, fold the top over the filling, wrap the sides in and then roll up. Serve with dipping sauce. 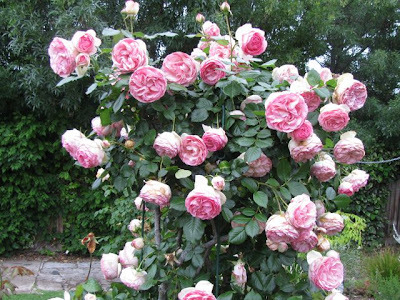 These do not keep well so should be made fresh if possible. I have had ones that have sat overnight in the fridge and they weren’t great but making them a few hours ahead should be fine. Roast pumpkin with a splash of olive oil and a pinch of salt in a 200 C over for 30-45 minutes until soft. Cook brown rice for 30 minutes and then drain under cold water. Blanch the asparagus (I did this by cooking on high in microwave for 30 minutes and then rinsing under cold water). Either shake dressing ingredients in a jar or lightly whisk together in a small bowl. Mix all ingredients together and toss with dressing.